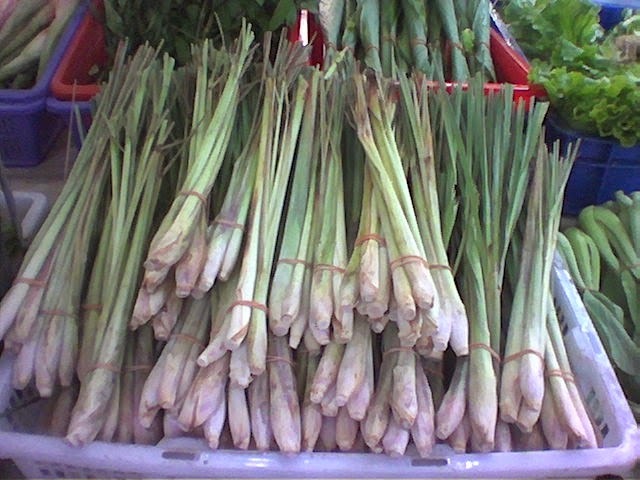 Serai in bahasa or Lemon grass (english) is one kind of spice. Serai or lemon grass is a class of herbs grass types that can be used as an addition to herbs can also be used for medicinal plants for our health. Research has shown that the leaves of lemongrass has anti-microbial substances and anti-bacterial. The content is particularly useful in treating infections of the stomach, intestines, urinary tract and wounds. Lemon grass leaves contain volatile oil consisting of citric, citronellol, a-pinene, kamfen, sabinen, mirsen, felandren beta, p-Simen, limonene, cis-osimen, terpinol, citronellal, borneol, terpinen-4-ol, a-terpineol , geraniol, farnesol, metilheptenon, n-desialdehida, dipenten, methyl heptanenon, bornilasetat, geranilformat, terpinil astet, sitronil acetate, geranil acetate, beta-elements, beta-caryophyllene, beta-bergamoten, trans-metilsoeugenol, beta-kadinen, elemol , and caryophyllene oxide. Another compound is geranial, geranil butyrate, lomonen, eugenol and metileugenol. Citronella is also known efficacious as a diuretic, antirheumatic reliever and seizures. One simple recipe is to use lemongrass boil to help cope with the symptoms of cough. A total of 5 grams of lemongrass roots washed and boiled with 1 cup water for 15 minutes. Then the lemon grass drink boiled water twice a day each 1/2 cup in the morning and afternoon.